SAN FRANCISCO — Rite Aid Corp. is enlisting the RangeMe online product discovery and buying platform for a major initiative to scale its product innovation efforts. 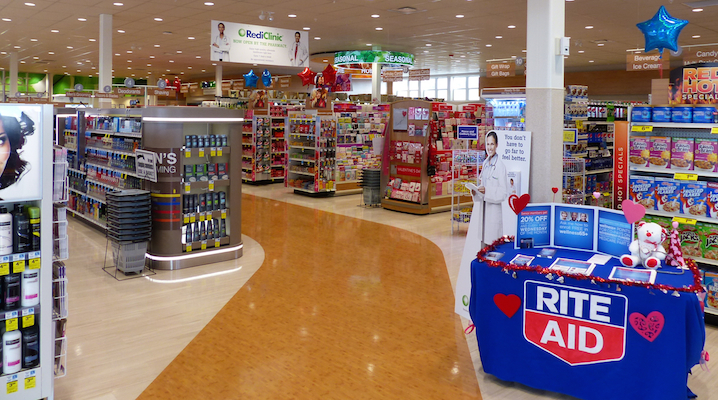 San Francisco-based RangeMe, recently acquired by Efficient Collaborative Retail Marketing (ECRM), said Tuesday that its platform will enable Rite Aid’s category buying teams to source trending, consumer-ready products faster and more efficiently. RangeMe’s platform uses a simple dashboard to put thousands of products at retail buyers’ fingertips, making it easier to find and compare items. Automatic alerts are sent to buyers when new products meet their selection criteria. By facilitating product discovery, the solution streamlines the sourcing of innovative products for retail buyers and helps them manage the inbound product submission process, the company said. Suppliers can upload full details of their products to RangeMe for buyers to review. The ability to easily view key product details — such as product claims, marketing support and distribution information — aids buyers in the discovery and evaluation of potential opportunities, the company noted. Buyers can instantly contact suppliers of interest or track a product to be alerted of updates. The result for customers is a broader selection of relevant and trending products in store aisles, according to RangeMe. RangeMe reported that its platform, in the past year, has grown to include more than 70,000 suppliers and 250,000 active products across all categories. Jackson recently said the platform is on track to have 100,000 suppliers by the end of 2017. Other retailers using the RangeMe platform include Albertsons Cos., Ahold USA, Target, Southeastern Grocers’ Winn-Dixie and Bi-Lo chains, Sam’s Club, Whole Foods Market, Gelson’s Market, Sprouts, SpartanNash, Sephora, LuckyVitamin and Jet.com.